Leanne Pilkington, President of the REINSW and Lynne Page of Knight Frank Hobart discuss their top tips for first home buyers. Buying your first home can be incredibly stressful, but it can help when you have a list of things to look out for. 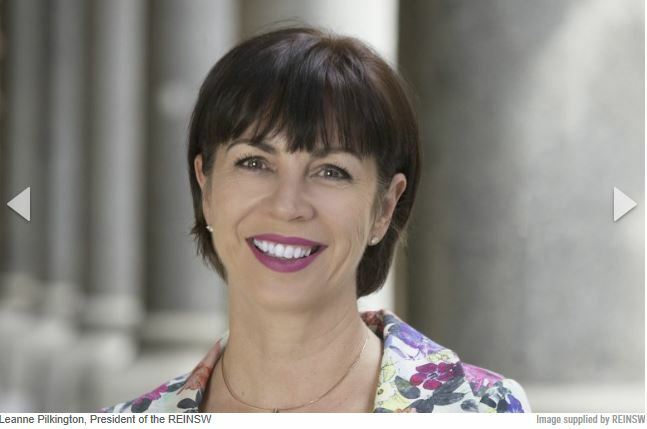 Leanne Pilkington, President of the REINSW told WILLIAMS MEDIA her top four tips for first home buyers. Ms Pilkington said some people make assumptions based on conversations with bankers six months ago, which may no longer be valid. “Touch base again and make sure the advice they gave you still holds true, because things change quickly, particularly at the moment with the banking royal commission. If you feel you need advice, remember your reasons for buying before you talk to family. “Things that might be appropriate for mum and dad may not be for you. “Be clear on what your motivation for buying is. Ms Pilkington said the more things you try to achieve in a first home, the harder it is, and most people have a list of non negotiables. Not everybody places a priority on this but it can make or break a sale. It can be expensive, and it can slow the process down so not everybody does them, but it can save a lot of future costs. Lynne Page of Knight Frank Hobart also had three tips to help the first home buyer out. As a first home buyer you should be prepared to live modestly for a while, however be particular about your positioning in the area. “I’ve recently sold a property in Rokeby which isn’t the nicest area,” Ms Page told WILLIAMS MEDIA. “Those people did up the kitchen and bathroom which are the big ticket items. “They bought in a not so great area, did the house up and really recouped. Ms Page said this enabled them to move on to another area which was really sought after. Underachieving agents may not professionally expose properties, the homes may have been on the market for a while, and they may be presented poorly. “People can’t look past poor presentation easily as we are all so exposed to programs like The Block, so we expect beautiful homes. “In a modest house an owner can get $50,000 more for a styled property, or up to $200,000 more in a luxurious house. 3. Purchase a small, older home on a nice block of land. There is the possibility of subdividing, or doing a boundary adjustment and building another dwelling. “I remember Malcom Turnbull bought a house in Point Piper, strata titled it, and divided it into two. “He lives in one house, and sold the other half for more than what he paid for the entire thing. Real Estate Myths Is Australia on the right track for housing affordability?